I have the best Oat Flour Chocolate Cake Recipe here. 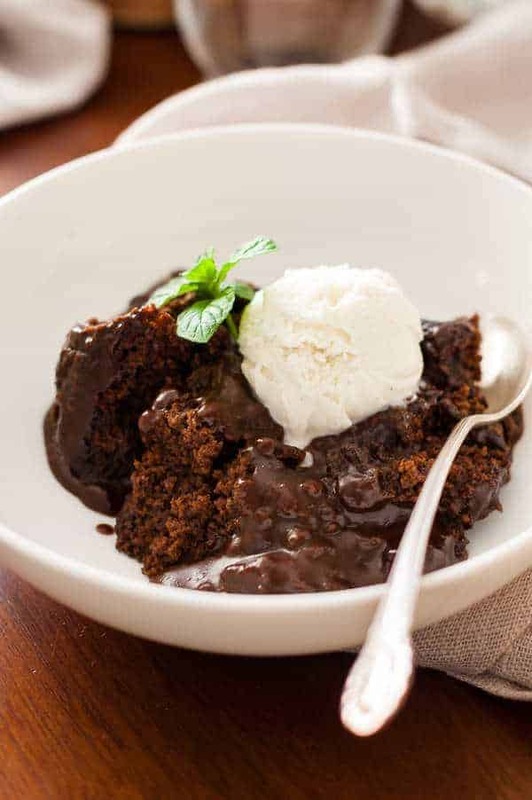 It’s named Slow Cooker Molten Lava Oat Flour Chocolate Cake Recipe and it is delicious and very easy to make. Who doesn’t love a rich, warm double chocolate recipe? This Molten Lava Chocolate Cake Recipe works well with the Clean Eating, Gluten-Free, and Dairy-Free lifestyle and for people not on a particular diet as well. (It’s dairy-free as long as you don’t consider butter dairy, which I do not since it’s the fat portion of milk and doesn’t contain either lactose or casein. If you consider butter dairy, just substitute the butter with whatever butter substitute you like, such as a Vegan butter or coconut oil). All people will love this if you so choose to make it for a crowd, family or party! Start it at the beginning of your cooking and let it do it’s magic while you cook and eat the rest of your dinner. 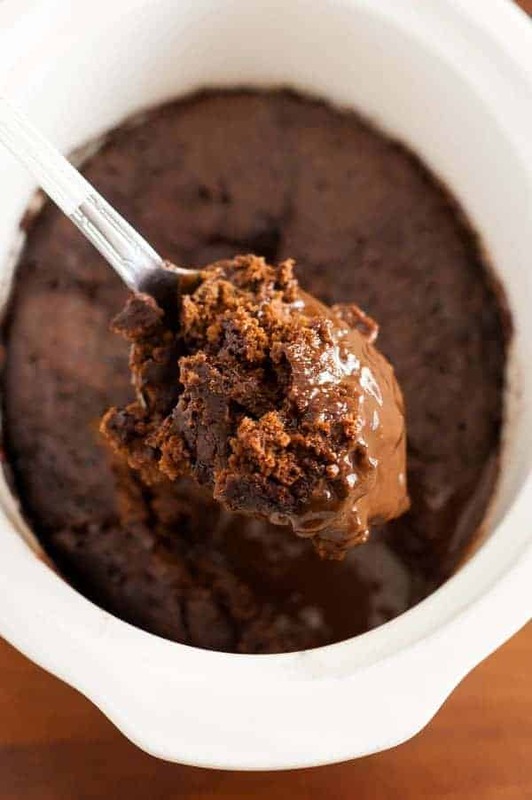 Oat flour gives the perfect texture to this clean eating crock pot cake. It makes it rich, dense and moist. Many of my recipes have ingredients that can be substituted or left out. I would say this recipe does not fall in that category. It was tricky to get it to work just right with the ingredients I have and I could not guarantee how well the recipe would turn out if you tried substitutions. Although, if you do try some substitutions and they work or don’t work, I would love to know, so please comment. Serve hot with a scoop of Clean Eating vanilla ice cream! We hope you give this Oat Flour Chocolate Cake Recipe a try and enjoy it! Subscribe to our blog if you would like to see future recipes and other posts from us! Oat flour gives the perfect texture to this clean eating crock pot cake. Serve hot with a scoop of vanilla ice cream! Previous Post: « 9 of the Best Easy, Cheap Clean Eating Appetizer Recipes for a Fun, Healthy Party! HI – If I don’t have coconut palm sugar, could honey be used to subsitute? I know the ratio will be different. but wondering if it changes the recipe in any way. thank you! I’m not sure, since I haven’t tested that substitution myself, but you could certainly try. If you do, will you please come back and let me know if it works out, so my other readers will know how it turned out? Hi. I’m just wondering if you tried the honey substitution. If so, did it work out well? Does the size of the crock pot matter? Debating on my small or large one. I’ve only ever done it in my 6 quart one. I followed the recipe exactly. The texture was perfect–the top became cakey, I wouldn’t have been able to tell the difference between a “normal” cake texture and this one, but the bottom looked runny. As I stopped out portions it became a perfect mix of cakey gooey warm chocolate goodness. However, I personally found the oat flavor of the oat flour to be too overpowering. My boyfriend had two servings, so I would say that this is still a great recipe, I just wasn’t a fan of the oat flour. Thanks–this was one of my first baking experiments in gluten/dairy free! Thanks for your comment. I LOVE oatmeal, so maybe that’s why I like this so much. Recently went gluten free can’t wait to try this! My kids will love it. I really like this recipe! I lost it. So glad I found it again! I’m glad you found it too! Thanks for taking the time to comment. No idea what I did wrong. Tried to make this for my daughters birthday. I used almond meal flour, regular sugar and silk almond milk as the only substitutions. At 1.5 hours it looked still very soupy in the middle so I let it go for an additional 30 minutes. Checked it again and it was like chocolate soup! So we laughed and served it over ice cream. Delicious flavor but where did I go wrong? I would guess the almond meal flour is what did it in. It’s very different from oat flour. This recipe looks too good to be true. I love it that you’re experimenting with different ingredients and using oat flour instead. Love your blog and recipes. Keep up the good work! Glad you like our blog! Thanks for stopping by! I’m loving this! I’m always so impressed by your masterpieces. Oh my goodness that cake looks delicious.